Since the discovery that the Terrigen Mist - the key to unlocking an Inhuman's hidden potential and powers - is lethal to mutants, the X-Men and Inhumans have been locked in a cold war. But as the Terrigen seeps into the earth and reaches an irreversible tipping point, the X-Men are spurred into action to ensure the future of their species! For Jean Grey, that means taking out the Inhumans' deadliest weapon: Karnak! But when Cyclops learns the truth behind his adult counterpart's quest to destroy the Inhumans, there'll be hell to pay! 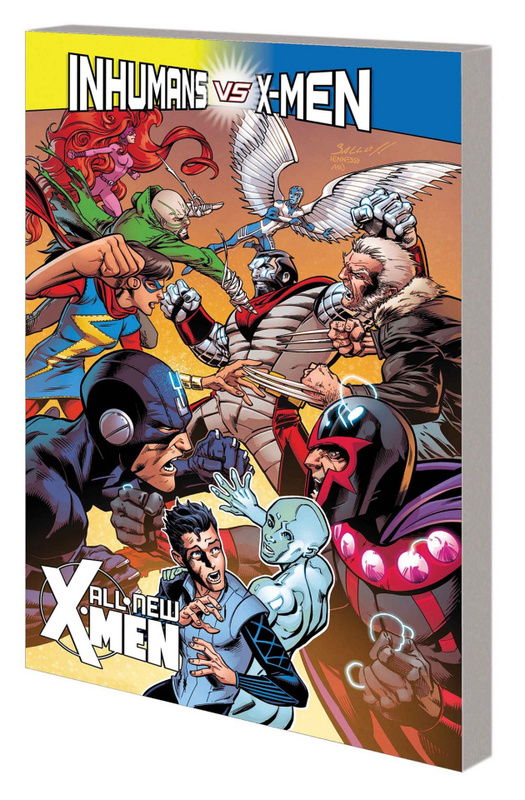 As the dust settles on the war, the original five X-Men will be reunited once more - but will they walk into their all-new future together or apart? Plus: Date night for Idie, and Dani Moonstar returns! Collecting ALL-NEW X-MEN (2015) #17-19 and ANNUAL #1 and X-MEN PRIME.